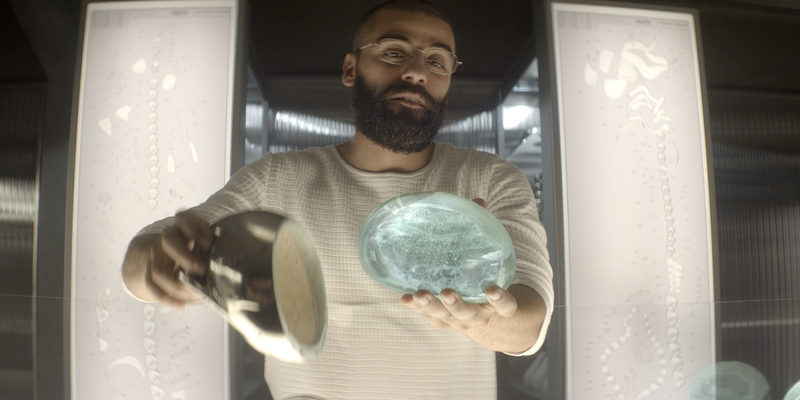 Our very own Sara Bennett has been nominated for an OSCAR in the VFX category for Alex Garland’s Ex-Machina, alongside Dneg’s Andrew Whitehurst, Paul Norris and Mark Ardington. Hurrah! 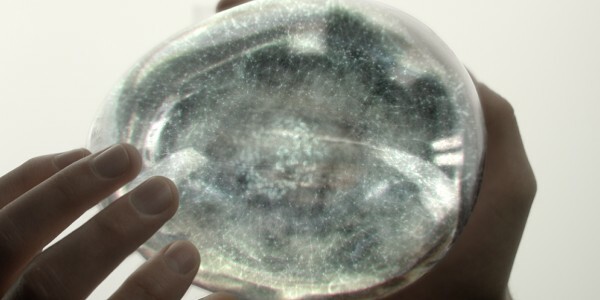 Milk’s biggest scene was the design and creation of a CG Ava brain, which is seen during the conversation between Nathan and Caleb in the construction lab. Milk was also tasked with devising a look for AI robot Ava’s point of view – seen at the start of the film when lead character Caleb wins the office lottery and in the bathroom scene. A range of 2d shots also included simple clean ups and monitor inserts. For the design of Ava’s brain, Milk was briefed to use jelly fish references while incorporating a computerized ‘tech’ feel in its design. Using Houdini, the build was fully procedural with strong emphasis on the ability to quickly choreograph and combine major features to reduce the turnaround of versions during lookdev. Starting from a sculpted core mesh, a complex set up was built to create the main features of the brain – including frills, tentacles, pores, antennas, wireframe cages and air bubbles. The Milk team opted for a noise driven animation over simulations in order to avoid having to rig and animate each shot separately. Collisions were solved by post deforming wires and meshes using volume collision approaches where necessary. The resulting brain asset was then brought into Maya for shading and lighting using Arnold and finally composited in nuke.